The deranged killer who murdered an innocent California police officer had his guns confiscated months prior to the murder, but the law did not stop this criminal from getting a gun. Police say that Limbaugh’s rampage left Corona, 22, dead, and left bullet holes in a nearby house, a passing fire truck, a text book inside a backpack worn by a young woman and the boot heel of a firefighter fleeing the gunfire. According to police, Limbaugh’s attack began just before 7:00 p.m. last Thursday as Corona, a rookie officer, investigated a minor three car collision near downtown Davis. Police reported that Limbaugh rolled up on a bicycle, parked in the shadows and then approached Corona as she was handing a driver’s license back to one of the individuals involved in the accident. Limbaugh fired over the shoulders of one of the motorists, striking Corona in the neck. He then walked over to her and continued firing into her. 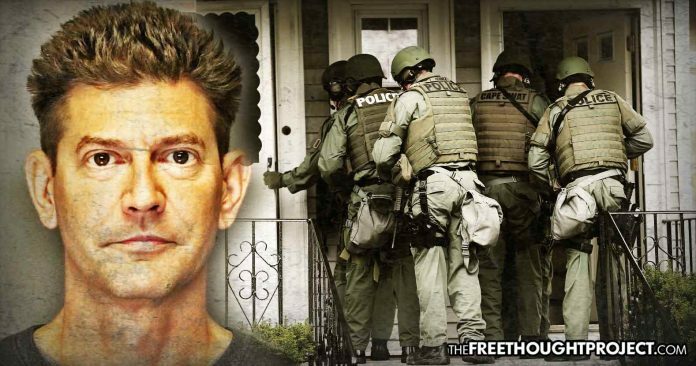 Limbaugh then went on a shooting rampage in the neighborhood before retreating into his home where he shoved a couch up to the door and killed himself. No other people were killed. Police also found the two handguns Limbaugh used to carry out the attack—two handguns that were illegal for him to possess and were not his. Sadly, the laws designed to keep the guns out of the hands of bad people failed, and an innocent young woman was murdered. No one here is attempting to politicize this tragedy, and we are only making the case to illustrate that even confiscating guns from people will not keep them out of the hands of those who wish to do harm. Depending on the current government, life in disarmed societies can go on peacefully for a while. However, in some cases, citizens — men women and children — are slaughtered by the millions as corrupt government officials and criminals become the only ones to have guns. Simply put, guns — in the hands of good people — level the playing field against guns in the hands of bad people. It is this simple. As this tragic case illustrates, bad guys will always have access to guns, even if you use laws to disarm them. The protectionist attitude of taking guns from law abiding citizens to keep guns from criminals is ineffective, self-serving, one-sided and ignores the benefits of an armed society as well as history. And, it only serves to further the oppression of those who cannot defend themselves.